Rendez-vouz at the Marina approximately half an hour before departure. You will board and have a short briefing regarding safety procedures while enjoying a welcome drink. 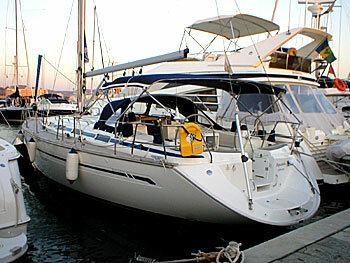 Then we set sail along the Limassol coastline exploring isolated bays until we find a beach to anchor. There you will have the opportunity to take part in several activities, such as snorkeling, fishing, swimming and beach volley for an exciting day. Not only for scheduled cruises, but also for your own private cruise at any time we have selected a luxurious boat designed specifically for those with a sense of adventure. 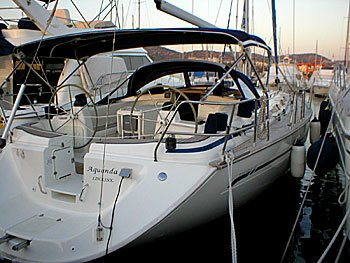 With her beauty and style, the Bavaria 44 possesses all the virtues of an ocean going super yacht. 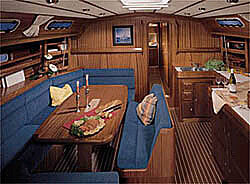 She is fully equipped to spirit you beyond Cyprus in complete luxury, providing at the same time a sea kindly sail. *Catering can be provided at the clients request and will be charged extra, or guests can make their own catering arrangements.